New Zealanders have been performing the haka in tribute to the victims of Friday's Christchurch mosque shootings. As the first burials commence for the 50 people killed at two mosques in a mass shooting during prayers, school pupils and biker gangs have been among those performing the Maori ceremonial dance in Christchurch. While commonly thought of as a battle dance, according to Maori mythology the haka is a celebration of life and is also performed as a mark of respect at funerals, as well as to welcome guests and at special occasions and commemorations. Kapa haka performing arts groups are found in many New Zealand schools. 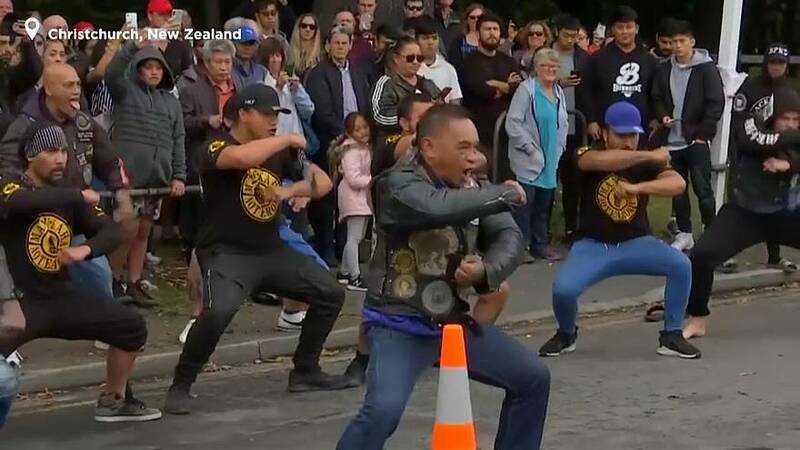 Students from Christchurch High School and members of the Mangu Kaha Aotearoa biker gang have been among those gathering outside the mosques to perform the traditional dance in honour of those killed. The victims included New Zealanders, migrants and refugees, from countries including Pakistan, Bangladesh, India, Turkey, Kuwait and Somalia. Australian Brenton Tarrant, 28, a self-described white supremacist who was living in Dunedin, on New Zealand's South Island, was charged with murder on Saturday. New Zealand Prime Minister Jacinda Ardern has vowed never to speak Tarrant's name. Addressing the country's parliament on Tuesday, she opened with the Arabic greeting "Al-Salaam Alaikum" ("peace be upon you"), before saying: "I implore you, speak the names of those who were lost rather than the name of the man who took them. He is a terrorist. He is a criminal. He is an extremist. But he will, when I speak, be nameless."